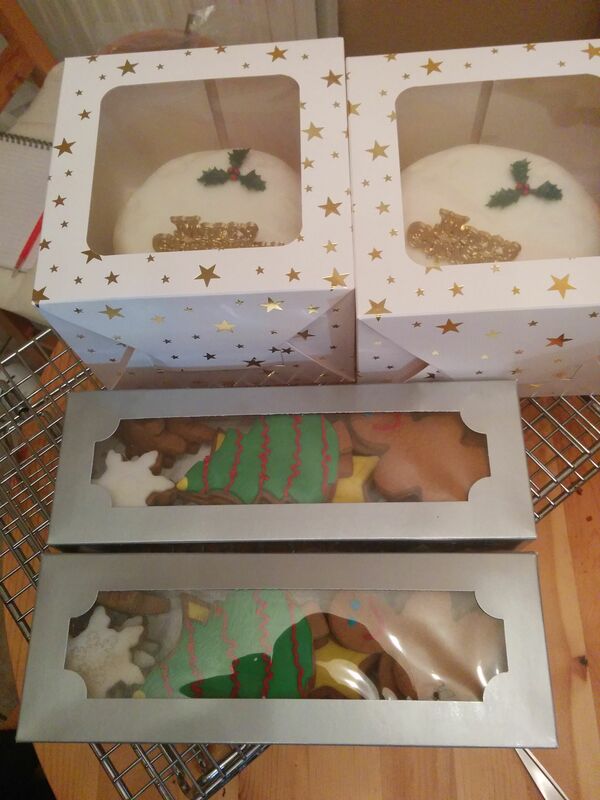 So apparantly all I use this blog for now is annual Christmas baking posts. I am alright with that. 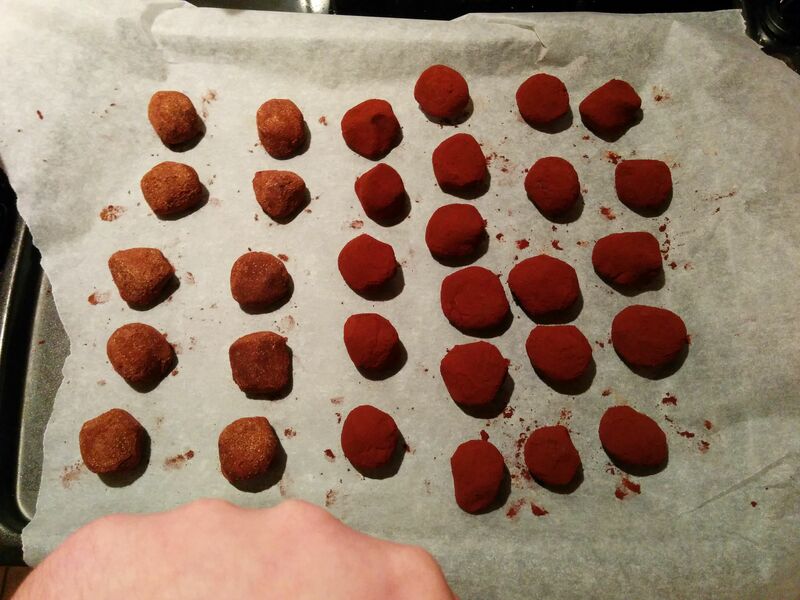 This year I have branched out a little, and stolen paid tribute to a friend’s idea by shamelessly copying it of making some Christmas truffles. Made a whole bunch of different ones, including white chocolate and marzipan, peanut butter, rum and vanilla crunch, kirsch cherry, orange, ginger, and coffee. Some came out better than others (coffee and orange were my personal favourites, though I quite liked the peanut butter too, which is good since I made waaaay too many of those), but on the whole I’m pretty happy with how it went. 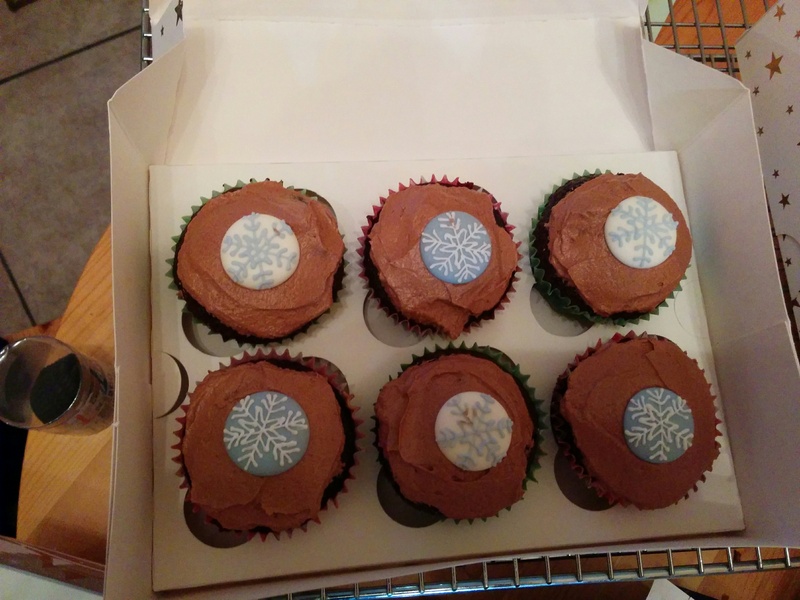 I also experimented with doing dairy, soy and gluten free stuff this year, as another friend has some rather strict food intolerances. I experimented with a couple of cake recipes (most of which were mediocre at best) before I found a chocolate cake one that turned out really well, and made it a little more festive by throwing in some cranberries. Topped with a chocolate (dairy-free) buttercream, it is probably my new favourite cake recipe. 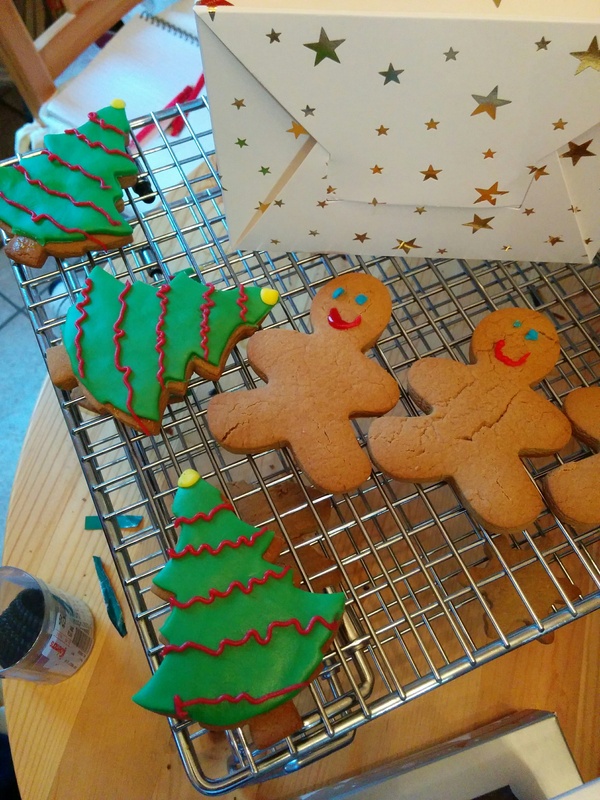 I also tried out a slightly tweaked gingerbread recipe to meet the free-from requirements, which turned out great; I was a bit worried the lack of real butter might hamper the flavour, but you'd never notice, and the gluten-free flour (which I think was a mix of rice, potato and something else) works fine. And, hey, once you slap a bit of icing on it, gingerbread always makes you look good. 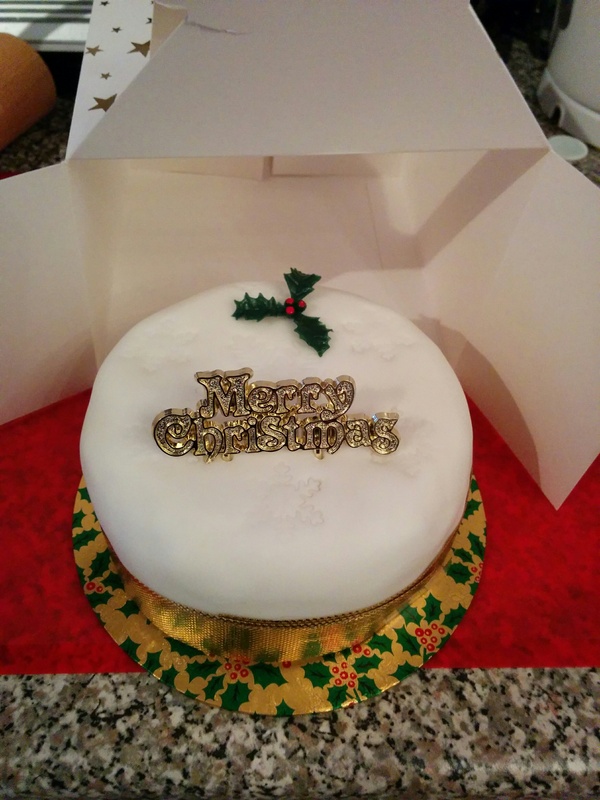 Also did a bunch of Christmas cakes - instead of doing a giant one like last year, I made a few smaller ones this time around. They were made a few months ago (to give them a proper boozey soak) and were made with regular butter and flour, but I'm confident they could be done with the free-from ingredients next year and come out just as good. Late update: For myself, I tried my hand at a Tunis Cake, though (since it was just for me) I made a mini one instead, and didn't bother with the fancy decorations on top. 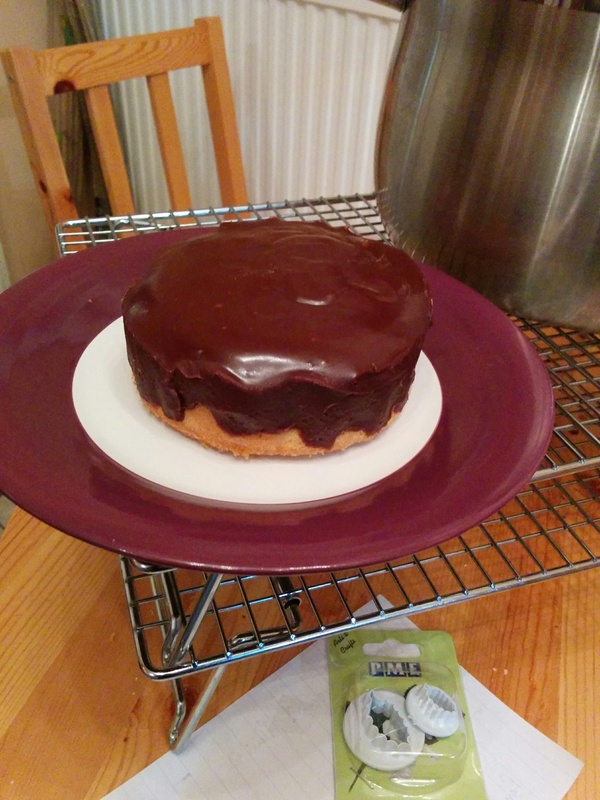 I also switched out the lemon zest for some orange essence, since chocolate orange is one of my favourite things. 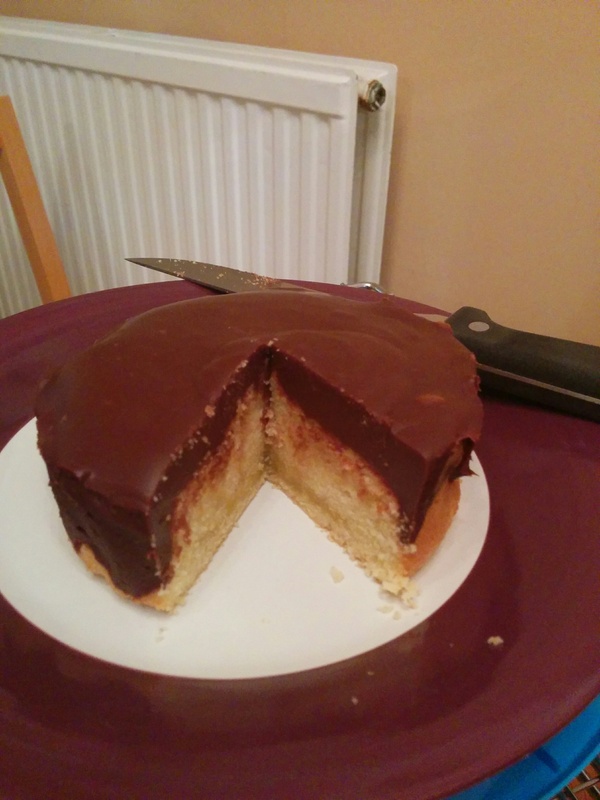 Cooked for a /tiny/ bit too long, which caused the cake to pull away from the tin slightly, so the chocolate ran down the edge instead of just sitting neatly on top, but that's only a presentation issue, not a taste one. Will be having this after Christmas dinner.